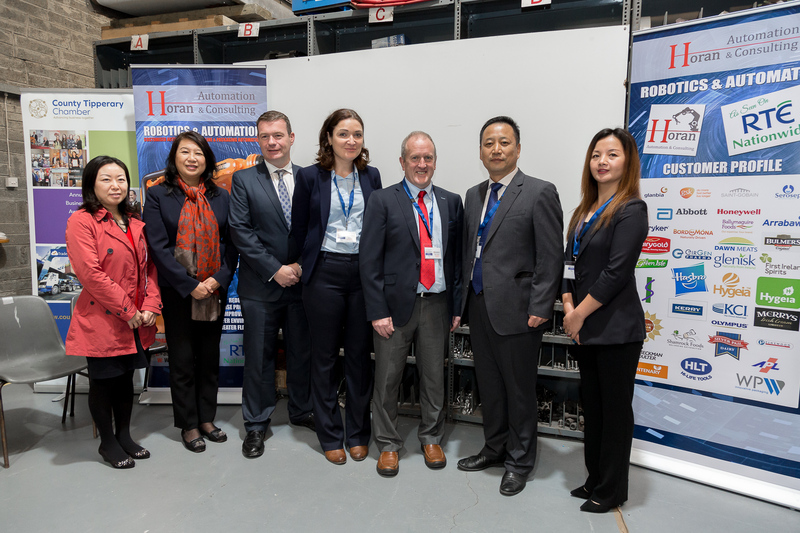 Horan Automation and Consulting, established by Gerry and Kathleen Horan, specialises in bespoke robotic applications and end of line automation servicing mainly the pharmaceutical and food / beverage markets. The company’s key strengths include customised design and building of automated solutions for manufacturing, PLC integration, turnkey industrial automation systems as well as automation support and training. In 2017, the business began to re-structure strategically with a focus on savings throughout the production process and a recognition of the need for sales and marketing. This restructuring highlighted the potential for the company to expand their activities beyond their traditional Irish customer base. Although Horan was well known in Irish automation circles, they lacked the capabilities to exploit the potential that existed beyond the Irish market, as MD Gerry Horan explains…”we are being naturally approached often to supply into Europe but up to now we haven’t had the resources necessary”. The opportunity of a Joint Venture with a Beijing based supplier, Boxline China, would allow the company to properly exploit their own staff skills and knowledge, as well as their proximity to Europe, to benefit from the increased demand in the robotics and automation market. The new joint venture was set up to focus on robotic cells with designs produced in Tipperary and manufacturing carried out in China. RIKON’s assistance was enlisted to explore the development of this joint venture – its structure, business model, and the creation of a strong roadmap to ensure sustainable future growth. In depth research of markets throughout Europe included an examination of less traditional markets, a shift away from the UK and France which are traditionally heavily penetrated by the market-leading German manufacturers. Development of a business model for the new venture, Boxline Europe, involved wide ranging trend analysis including research into the impact of Industry 4.0 and the Internet of things on manufacturing and automation in Europe. Further deliverables on the project included the development of a roadmap for the business including funding sources, staff resourcing, and structure around the core value propositions of the new company in a crowded market. Following confirmation of the partnership at Horan’s site in Drangan, Co. Tipperary, Gerry Horan forecast revenues of €5 million within three years along with plans to create up to 30 jobs locally in the area of automation, engineering and sales and marketing. RIKON is pleased to continue to work with Horan Automation / Boxline Europe as they continue their growth story in future years.